According to the Federal Prosecutor's Office, Luiz Fernando Pezão received approximately R$25 million between 2007 and 2015 from contractors. RIO DE JANEIRO, BRAZIL – The governor of Rio de Janeiro, Luiz Fernando Pezão, was arrested early Thursday morning in the official governor’s residence, Laranjeiras Palace. According to the Federal Public Prosecutor’s Office (MPF), the governor committed crimes against the public, including corruption and money laundering. Rio governor Luiz Fernando Pezão is arrested early Thursday morning at the official governor’s mansion, photo social media reproduction. In a press conference after the arrest, Attorney General, Raquel Dodge stated that ‘despite being a trusted man of (former governor) Sergio Cabral and assuming a fundamental role in that criminal organization, including succeeding him in his leadership, Luiz Fernando Pezão operated his own corruption scheme with his own financial operators’. 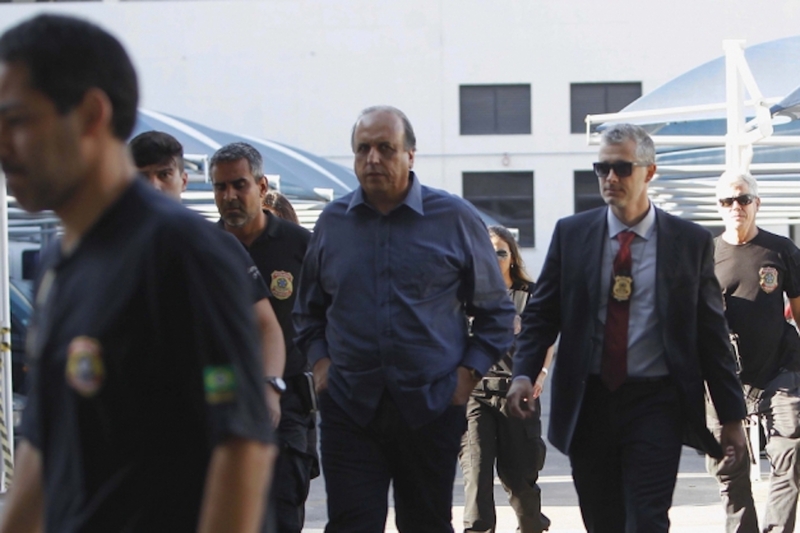 According to the MPF, Pezão received approximately R$25 million between 2007 and 2015. In today’s amount, the volume would total R$39 million. Justifying the arrest of an acting governor, Dodge said Pezão’s arrest was necessary ‘to ensure public order and halt the practice of ongoing criminal organizations’. According to her, thirteen very serious criminal offenses were identified that were still being committed and ‘needed to be stopped’. For many, Pezão’s arrest was the end of a corruption scheme set up by Sergio Cabral. Many, however, are not optimistic that all schemes are dismantled in the state. “It’s the end of the Cabral era, but you can’t say the greater good is now the priority,” says Julia Michaels an American expatriate, author and the journalist behind Rio Real Blog. “Interest groups are likely to continue to retain control of the state as the new governor takes office in January,” concludes Michaels. Pezão’s arrest was part of a Rio de Janeiro investigation derived from the national Lava Jato (CarWash) scandal. The arrested governor was named in a plea-deal by Carlos Miranda, financial operator of ex-governor Cabral. According to Miranda, Pezão received a ‘monthly allowance’ of R$150,000 (in cash), a Christmas bonus and two other bonuses of R$1 million each. Miranda, after two years in detention, decided to cooperate with investigators and was placed under house arrest for the remainder of his jail term. The money according to the operator came from contractors and government supply companies. Pezão was Secretary of Works under the Cabral administration. In all, 150 federal police officers were involved in the execution of 39 court orders, including arrest warrants, search and seizure and pre-trial detention orders, in the states of Rio de Janeiro and Minas Gerais. 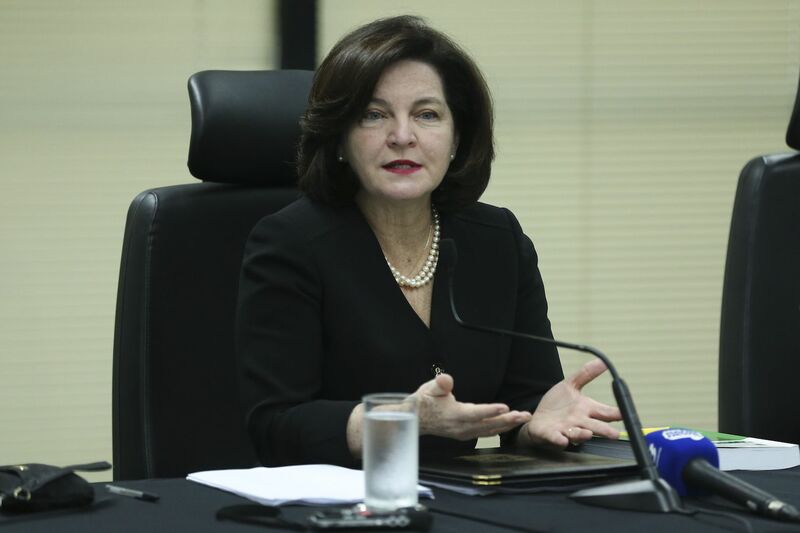 Attorney General, Raquel Dodge, during press conference on arrest of Rio governor, Pezão, photo by Jose Cruz/Agencia Brasil. Governor-elect, Wilson Witzel issued a statement hours after the arrest stating that the ongoing transition process between the outgoing and incoming administrations would not be affected. “The governor-elect team will continue to work to change and rebuild Rio de Janeiro,” said a statement issued by Witzel’s office. Rio de Janeiro’s deputy governor, 83-year-old Francisco Dornelles will take over as head of state until December 31st, when the new administration is sworn in. In the past two decades Rio de Janeiro state has faced all four of its governors arrested at some time. Pezão, however, the first arrested while still in office. Former governors Anthony Garotinho, Rosinha Garotinho and Sergio Cabral have been arrested for corruption, election fraud, money laundering and organized crime. Cabral is currently in jail serving 170 years for corruption, while Anthony Garotinho is under house arrest.